His love for the chiropractic profession developed quickly while studying and gaining his professional experiences through meeting remarkable colleagues with diverse backgrounds and skills in the field. 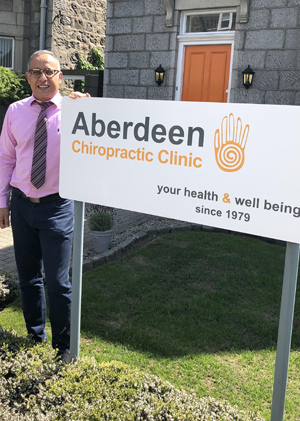 Since graduating from the Welsh Institute of Chiropractic with distinction, Reece has gained extensive clinical experiences and consulted in Cardiff, Wales and Malmesbury, England before moving to Aberdeen. Reece is highly enthusiastic about helping people of various age groups to preserve their health through educating them about the role of beneficial lifestyle choices. He believes the stimulation of the nervous system via chiropractic treatment is the fundamental ingredient in the recipe for good health. Other elements include eating well, thinking positive and moving regularly. The combination of all of these components offers a powerful and natural formula for the restoration and preservation of good health. Contact us today to book an appointment with Reece! Last Updated: April 9, 2019 Chiropractic Websites by Perfect Patients.